We are excited that you have made the decision to join the New Dimensions family, our prayer is that you will discover that New Dimensions Church is about people, people from different backgrounds who have encountered Jesus Christ and are learning to live a new life for the glory of God. New Dimensions Church is a purpose-driven ministry with a vision to change lives that and impact the world through the power of Jesus Christ. We provide a place for everyone that is conducive for growth and development of the entire person – intellectually, spiritually, and physically. It is our desire to see every person walking progressively in the manifestation of God’s promise. 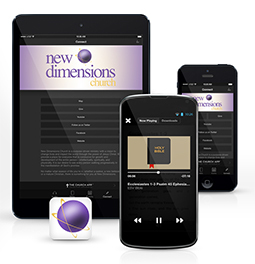 No matter what season of life you’re in, whether a seeker, a new believer or a mature Christian, there is something for you at New Dimensions.